The AWMS-4640 is a single 460mm monitor arm attached to a 400mm post. 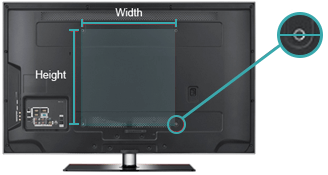 Display height, optimal viewing angle and orientation can be set to individual requirements. Built from lightweight and yet durable aluminium, the mount can be easily recycled at the end of its life. Ideal for: Displays up to 43”. The 460mm display arm can be installed in any of the four channels of the 400mm post. Perfect for applications where display height does not require frequent adjustment. Upgrades: The display mounting head can be replaced with the SNTB notebook holder (sold separately). Free channels in the desk-attached post can accommodate additional arms to create multi display, notebook or tablet combinations.